Sharing after school snacks for your kids on those days when you just. can’t. think. of. anything. else. And if we’re lucky enough to find a healthy snack or two, must of us get stuck in a rut, and our kids are not shy to tell us about it. They think they need variety in their lives or something, and our minds draw a blank as to what in the world would make them happy. Well friends, I still haven’t invented a “new” snack idea for our starving children, nor have I “invented” a new meat (sorry, Mom!) But I have compiled a decent list of some great snack ideas to spur on your creativity, or just remind you of an old favorite. These come from my childhood as well as current home, my thoughtful Facebook followers’ suggestions, and, the internet, of course. My hope is that you will chime in in comments below to add your creative twists on these, or something fresh and new. 1. LEFTOVERS. Friends, if you have teenagers, there simply is no better way. Leftovers are a teenage-boy-mom’s best friend. Always cook extra: spaghetti, soup, pasta, casserole, meat, beans, potatoes. There is no granola bar or piece of fruit in the world that can fill a 16 year-old stomach the way a bowl of chili or plate of beans and rice can. Make extra. You’ll thank you. 2. 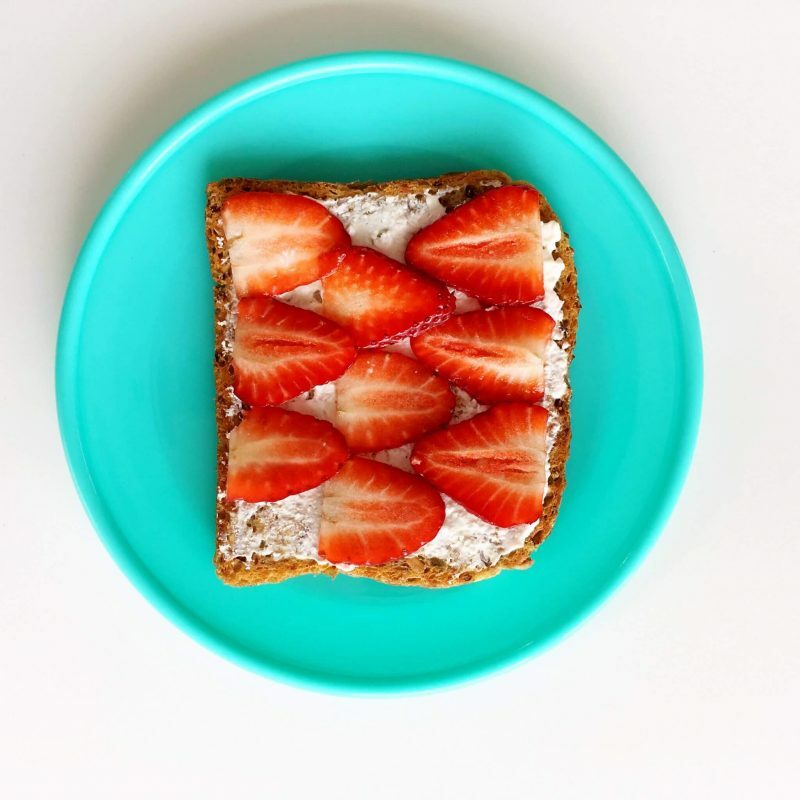 Toast: There are so many ways to make toast, and even better: by the time they’re in elementary school, most kids should be able to make their own! Take the ten minutes necessary to teach this one skill and you can sit back and be a #bossmom for the foreseeable snacking future. Toast with jam/jelly. Try some new varieties. Toast with cinnamon sugar (or “Christmas toast” as Levi calls it.) Full-on comfort food. More healthy toast toppings for kids, HERE. Peanut Butter + banana wraps. 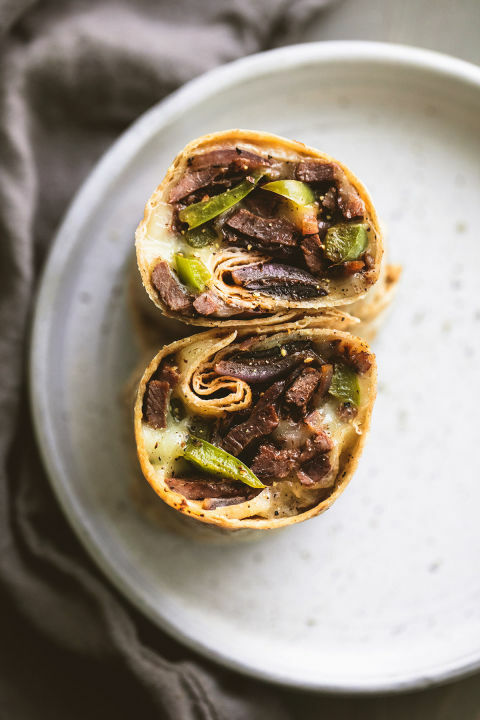 56 more wrap ideas, here. Ready-crusts from the store. 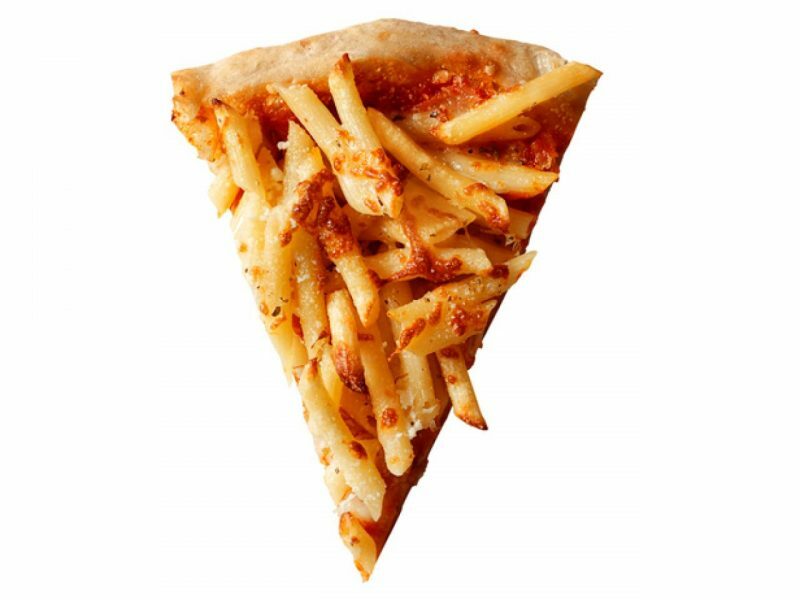 We use Boboli, but there are plenty of options. Top with a little sauce and cheese and any toppings you have on hand. My boys love some BBQ sauce and cheese, topped with leftover grilled chicken. Pizza on a tortilla. Super easy! Mini pizza’s on English muffins, Naan bread, or bagel-halves. 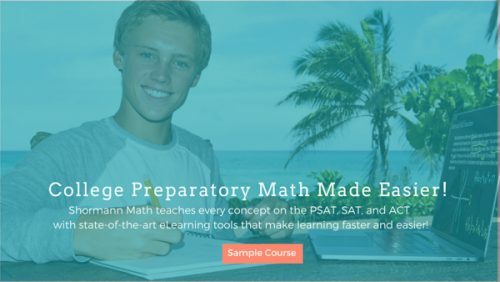 Get creative, the kids will love it! 50 more pizza ideas, here. Raw with a dip. (ranch dressing– easy to make yourself (here’s my healthier version) or a prepared dip from the store. Roasted veggies. I LOVE to roast veggies for dinner, so I always make plenty to reheat the next day for a snack. 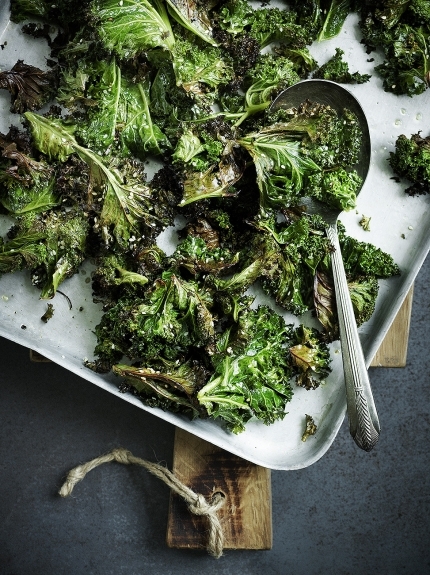 Crisp roasted broccoli or kale with a sprinkle of sea salt are an amazing alternative to salty chips. Veggies with humus. So good! 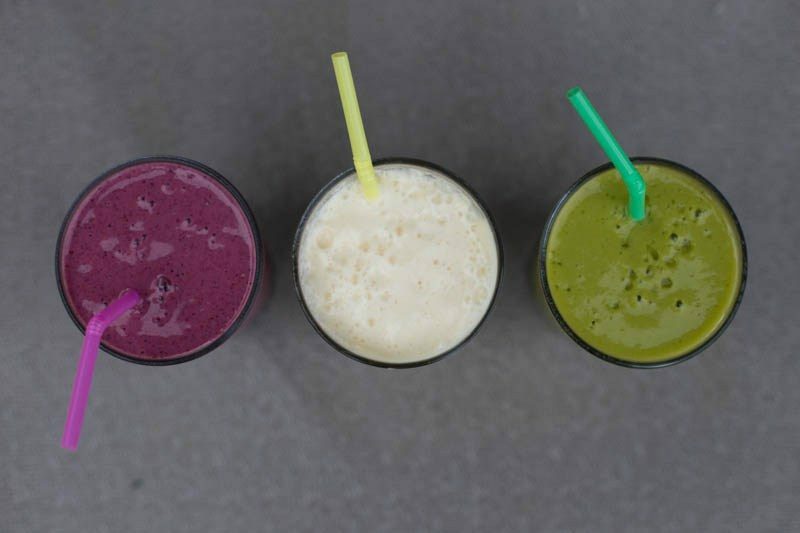 Favorite protein-rich, (non-fruit) smoothies here. Really any combo of juice, yogurt, fruit and milk of your choice will work. Try new combos and find what works for your family! 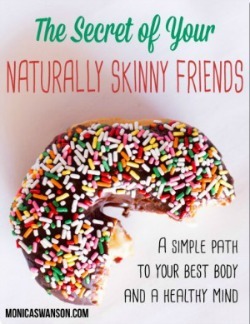 Smoothies are easy to add healthy ingredients into, like protein powders, chia/flax seeds, coconut butter, and etc. 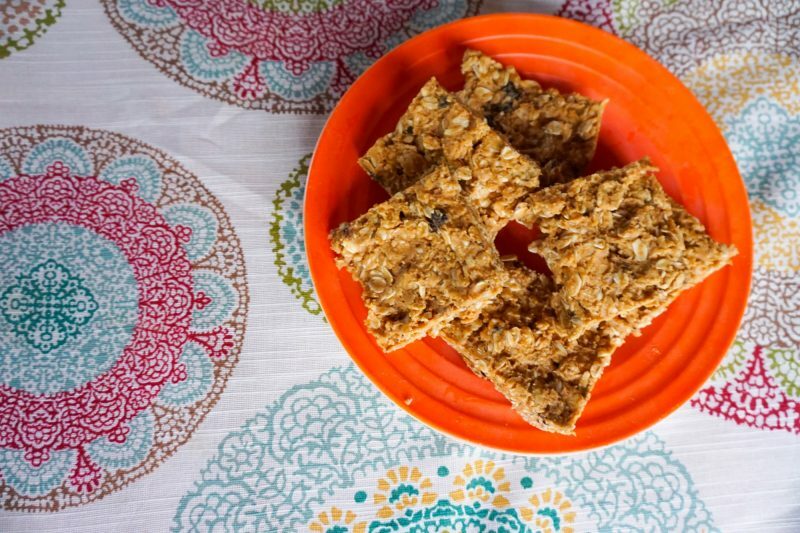 From Active Kids site: 8 Easy Homemade Energy bar recipes for kids. 8. 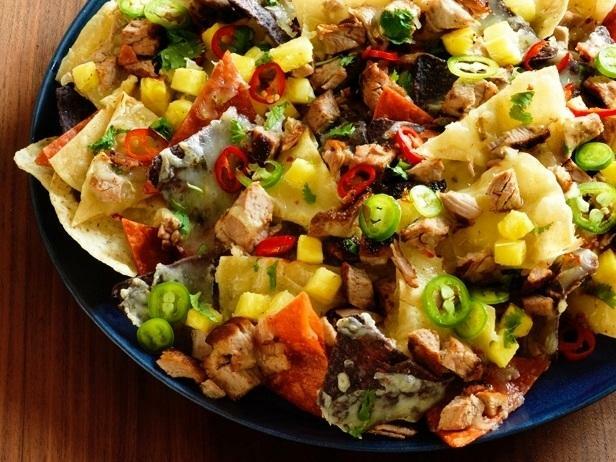 Nachos–many ways. If you think of nachos as fake cheese on nasty ball-game tortilla chips, think again: there are so many ways to make nachos more healthy, filling, and fun. Start with a healthier chip (I buy organic flax or blue corn or other varieties of chips that have less saturated fats and more healthy ingredients.) Then top them with your choice and bake at 400 degrees for about 8 minutes. Shredded cheese and leftover chicken breast, shredded or cubed. Food Network shares 50 (!) Nachos recipes. 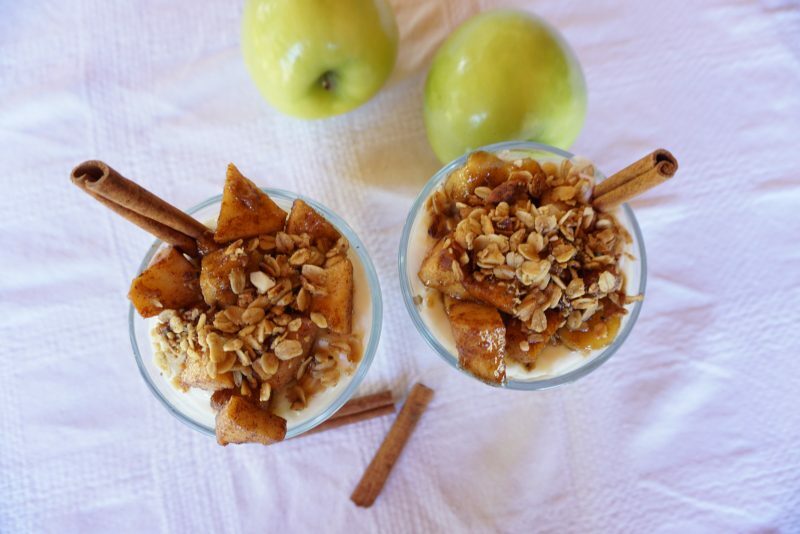 Yogurt parfaits– like my fall cinnamon apple variety! Freeze your own yogurt. Fill paper cups with yogurt and swirl in some jam or berries and then freeze. It’s a quick and easy (not to mention much healthier) alternative to ice cream. plain nuts, salted nuts, mixed nuts (trail mix.) Nuts are filling, full of nutrients, and EASY. 12: Homemade cereals. Recently we quit buying boxes of cold cereal. We realized that approximately half of our food budget was going into boxes of cereal, which, even if considered “healthy”, really wasn’t. Instead, I have been making hot cereal most mornings. I buy basic oatmeal in bulk at Costco, and I make extra and keep leftovers in the fridge. Boys have realized that heating that up with a little milk and agave nectar (or brown sugar if they get their way) is actually a really good breakfast or snack. 13. Eggs in just about any form: Hard-boiled, scrambled, egg-burritos, and egg sandwiches. Lots of protein, and great for snacking! 14. Good ole chocolate milk! Seriously: Delicious, and filling! 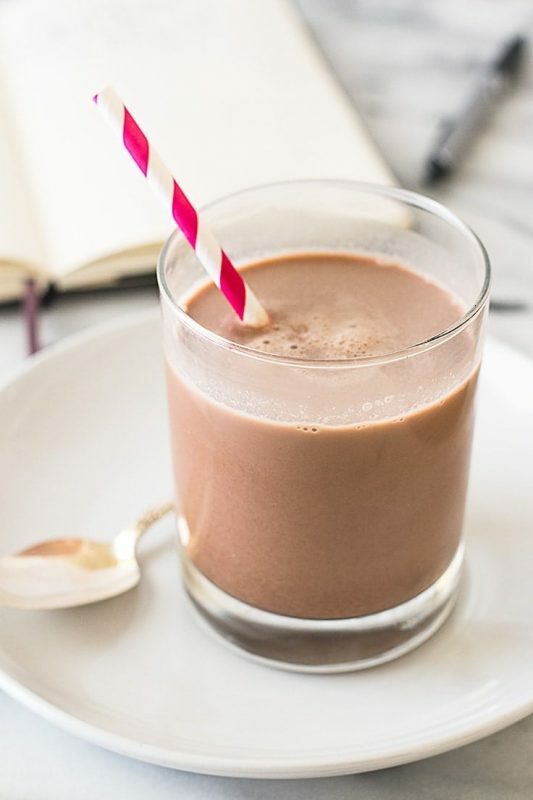 Make it with a chocolate protein powder rather than syrup or a sugary powder for a healthier version. Or make your own with just four ingredients. OK Friends, your turn to share! Comment below with any winning snack ideas, or give us your twist on any of the above. 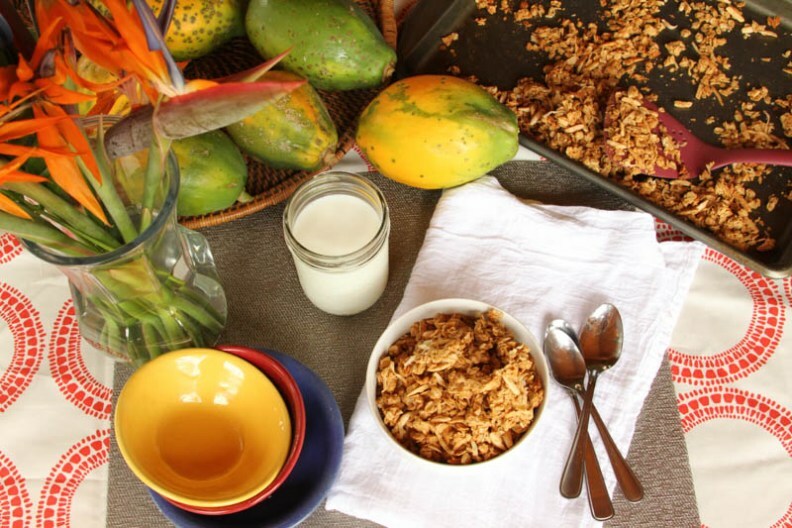 Or…share your biggest challenge in feeding your kids: Is it breakfast? Packing school lunches? Nighttime hunger? 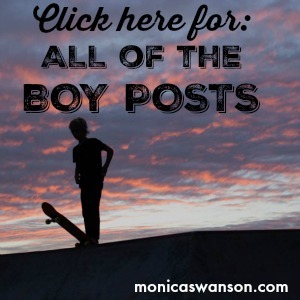 Comment below so we can tackle these very real #momproblems in future posts as well! Thanks for being here, and until they’re ready to say it — On behalf of your very own children, I’d like to close with this message: Thank you for taking the time to provide healthy and delicious food. It really does matter. This post is really awesome. Motivating as sometimes one is so short of snack ideas. Thanks for sharing. Hi mon! So I love healthy snack ideas, I have a couple favs.. one is actually pancakes , but so easy and carb free.. good for snacks too. And only 4 ingredients! Blend it all together , and cook it in a pan. Hey my friend! Thanks for sharing that simple and yummy recipe. I’ve never tried the carb-free pancakes but always wanted to. I’ll whip those up for a snack today! Thank you! Love these ideas. I make a whole bunch of healthy muffins and put in the freezer. I also make baked oatmeal (see Lynn’s Kitchen Adventures) and cut into bars and freeze. Yogurt, cheese sticks, roasted almonds, popcorn and fruit leather (homemade) are what we eat. I also make up.a bunch of snack bags for emergency. So, we have a dehydrator and we mostly make our own recipe. There are so many combos- pear, plum, banana is one. The snack bags have a combo of dried fruit and a type of cracker, popcorn or non sugar cereal. I use it for 3pm snack attack!